Della Robbia is a specific style of Italian art developed by Luca della Robbia in the 15th century. This art style combines 3-D terra cotta sculpture with 2-D painting that made Luca della Robbia a master Italian artist along with his famous contemporaries, Donatello and Ghiberti. The result is a gorgeous carved relief accentuated with bold and lively colors, as if the figures were emerging from the background. This unique form of art was then treated with an innovative protective glaze that made it an ideal adornment for building walls overlooking the alleys and streets of Italy. 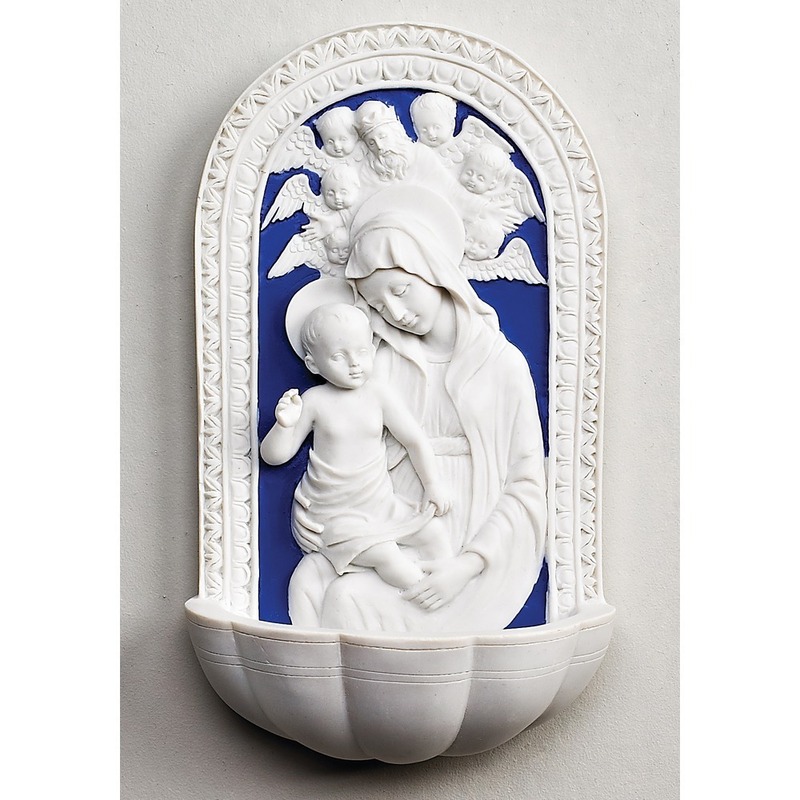 Now you can enjoy the Della Robbia art in your home with this lovely Della Robbia-style Holy Water font featuring the Madonna and Child, with angels encircled above. Keeping holy water in the home is an important Catholic tradition; display near the front door to bless yourself as you come and go. Makes a beautiful housewarming gift!